The Reservoir Committee (RC), a technical committee of the Southern Division AFS, created the Robert M. Jenkins Memorial Reservoir Research Scholarship in 1997. 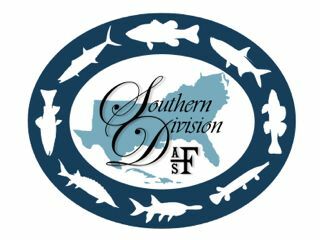 The Scholarship is intended to provide financial assistance to graduate students conducting reservoir-related fisheries research in the southeastern United States which show exceptional progress in their research, education, and professional endeavors. One or two $500 scholarships will be awarded annually depending upon sponsorship funding and number of applicants. The recipient(s) of the Jenkins Scholarship receive a check and will be recognized at the Spring SDAFS business meeting. The awards will be made directly to the student and not the student’s educational institution. It can be used for any aspect of graduate education including, but not limited to, tuition, textbooks, equipment, travel or living expenses. It is not intended to replace any funding obligated to the student. Selection criteria are based on research, education, professional and civic activities, among other things. Research and education activities can be associated with any aspect of reservoir ecosystem management. Professional activities in fishery-related student organizations, AFS Chapters, and similar organizations are desirable. Applicable public services include any voluntary activities but those pertaining to conservation and fishing are most desirable. A committee of RC members will review applications and present recommendations to the RC Chair for approval. All application materials must be received by December 1st each year. 2018 Recipients: The Reservoir Technical Committee is proud to recognize Hunter Hatcher and Jeremy Plauger as recipients of the 2018 Robert M. Jenkins Memorial Reservoir Research Scholarship sponsored by American Aquatics, and Fishiding. Hunter’s M.S. work at Mississippi State University focused on the effect of supplemental brush piles and agricultural plantings in mudflats on the growth and recruitment of juvenile gamefish in Lake Enid Reservoir, MS. Hunter is now a Fisheries Biologist with the Florida Fish and Wildlife Commission in Tallahassee, FL. Jeremy’s M.S. work at Auburn University focused on the economic impact of fishing on Lake Eufaula to surrounding communities in Alabama and Georgia. Hunter, Jeremy and the Scholarship sponsors were recognized at their local state chapter AFS meetings and presented their checks for $500 by Reservoir Technical Committee members Stephen Brown (MS) and Michael Holley (AL). Application materials must be received by close of business December 1. This includes the Application Form and associated documents and letter of recommendation. Application materials should be submitted via email to Jeremy.Shiflet@ky.gov. Please contact Jeremy to make other arrangements for application material delivery, if necessary. The RC scholarship committee chair will distribute the application packets to the review committee. Provide a copy of your research proposal which indicates relevance to reservoir fisheries science in the southeastern United States. Provide a letter of introduction and recommendation from the applicant’s major professor or faculty advisor. This letter should state how long and in what capacity they have known the applicant. In addition, the letter should address the applicant’s promise as a future fisheries scientist. It should be submitted via email to the scholarship committee chair (see info above). After the deadline has passed, the review committee will rank the compiled information for the applicants and present their selection to the RC Chair for approval. Scholarship recipients will be notified upon RC Chair approval and are encouraged to attend the Spring SDAFS meeting to present their research and be recognized. Application Deadline: December 1 annually.